It looks like absence really does make the heart grow fonder – at least for Ian Somerhalder. 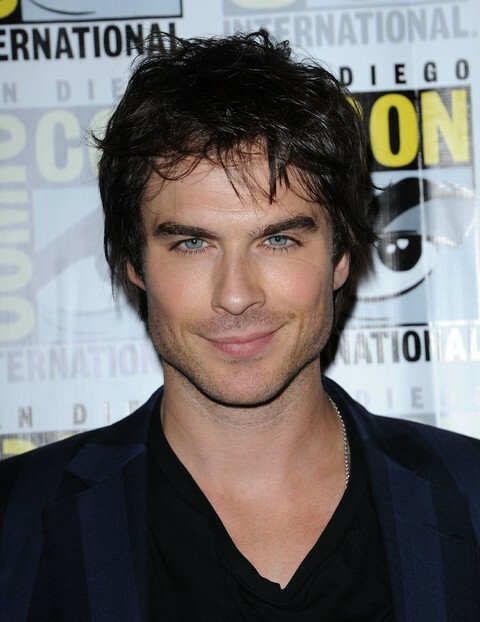 The Vampire Diaries hottie recently spent time apart from love of 18 months, Nina Dobrev. The couple decide to take a bit of a break from each other and went in opposite directions for the last week or so. Nina spent time with family and then has been spotted over the last few days helping to cheer Julianne Hough up after her split from Ryan Seacrest. Ian had headed to Austin to take part in SXSW and then made some interview stops on shows such as Watch What Happens Live. Apparently the break made Ian realize just how much fun he has with Nina and he was anxious to get back to L.A. to try and work out whatever differences they were having. Perhaps Nina and Ian were spending a little too much time together. For months now they’ve worked, traveled and played together. Maybe a little breather has made them both really miss each other. Also for Nina, watching her friend Jules go through a break up may have made her more grateful for whatever she shares with Ian. Once Jules started dishing details, her friends likely could either identify with how she felt or else were glad they weren’t in a similar situation. Let’s hope Nina and Ian work their way over some bumps and end up together for the long haul. Fans love them as a couple and the fact that they are pretty private seems to have really worked to benefit their relationship. Do you think they will be spotted out and about together again soon? Are you hoping that they patch things up? Tell us your thoughts on Ian and Nina in the comments below! Ian Somerhalder and Nina Dobrev Love Relationship At Risk – Spend Weekend Apart, Split Imminent?